The game's too big and too hard to offer in microcosm. "No, we won't be doing a demo," stated Bethesda producer Craig Lafferty to Gameplanet. "For a game of this size and complexity it's really hard to do a demo the represents the game truly. And it would have to be a gigantic demo. So we won't be doing a demo." 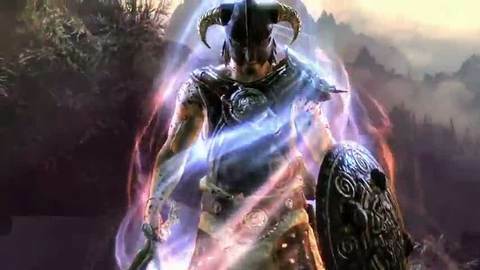 The Elder Scrolls V: Skyrim was Eurogamer's E3 2011 Game of the Show. The next time Bethesda wheels its RPG behemoth out will be at QuakeCon in early August. Eurogamer's Elder Scrolls V: Skyrim preview described a rich fantasy world with astonishing attention to detail. "Even as a first impression, Skyrim hooks you in with its majestic environments," wrote Tom Bramwell. "It holds you with the conviction of its understated background details. "By the time you start engaging with the content, using those wonderfully elegant new systems, you're completely won over. And to think, this is only the beginning..."